if you've ever been caught up in a Pearl Jam song, you're probably going to want to see "Pearl Jam 20." 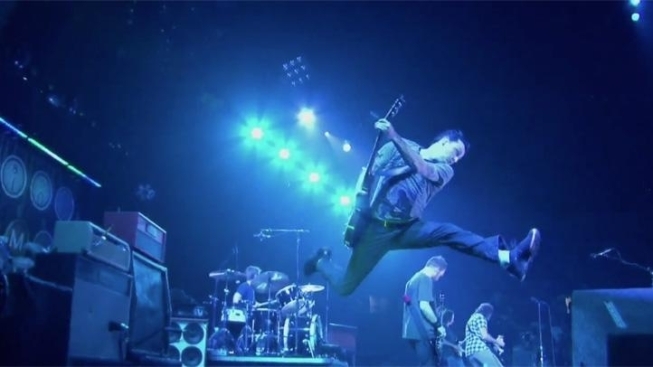 The trailer just debuted, and listening to Eddie Vedder's fraught growl crescendo against a backdrop of grainy footage of slow-motion stage-diving and guitar-slamming, one is instantly transported back to the early 1990s, when they helped to make Seattle grunge a global sound. Crowe was given 1,200 hours of footage the band kept over the years, and then blended in recent material. "It's the best souvenirs of the past," Crowe told Rolling Stone. "Some fabled footage you've heard exists but have never seen, and some interviews." While the movie chronicles 20 years of the band's history, the trailer doesn't show any glimpses of the band's political activism or fight against Ticketmaster. The film makes its world premiere Sept. 10 at the Toronto Film Festival, but most of you will have to wait until Sept. 20, when the film opens nationally.